A goal of business owners is to reduce exposures and protect their financial interests. Transferring risk to another entity through a combination of contracts and insurance is a basic method used to accomplish this protection. • Are you signing contracts… construction, purchasing, leases, etc.? • Are your contracts being reviewed by your attorney and insurance agent? • Are you aware that you can still be held liable for terms of a contract that are noninsurable? When you are initiating a contract, it is in your best interest to transfer as much risk as legally possible. However, as a recipient of a contract, it is best to assume minimum liability, and in particular remove uninsurable exposures. As a contract recipient, there are some contract terms your insurance carrier(s) either can not or will not comply with. Even if your carrier can comply, it may not be in your best interest to do so. Contracts can include broad wording such as holding you responsible for “ANY negligent acts, errors, or omissions” or “ANY and all liabilities” that result in “ANY claim, cost, expense, liability, penalty, or fine.” The inability to firmly define all scenarios of “ANY” makes it impossible to guarantee insurance coverage. Due to the various possible terms, it is advisable to have both your attorney and insurance agent review your contracts so you are fully aware of their implications, and identify the terms that would be best to negotiate removal of. Following are four common terms that increase your liability and are directly related to your insurance program. One of the most common contractual risk transfer tools is to add an individual or organization as an “Additional Insured” to a liability insurance policy. By adding the individual/organization as an additional insured to your policy, you are extending protection to them under your policy for claims which they may be brought into as a result of your negligence. This is often done via a specific Additional Insured endorsement, naming the entity requiring such status. “Additional insured the person(s) or organization(s) shown in the schedule, but only with respect to liability for “bodily injury”, “property damage”…. caused, in whole or in party, by: The insureds acts or omissions; the acts or omissions of those acting on your behalf…” This endorsement can be used to protect an “upstream” party (like a project owner) from liability arising out of a contractor’s work, a general contractor from liability arising from a subcontractor’s work, or a landlord from liability arising out of a tenant’s operations, etc. The contract may require Additional Insured status for “completed operations” as well as on-going operations. The standard additional insured endorsement only provides coverage for on-going operations: “Insurance does not apply to “bodily injury” or “property damage” occurring after: All work, including materials, parts or equipment furnished in connection with such work, on the project (other than service, maintenance or repairs) to be performed by or on behalf of the additional insured at the location of the covered operations has been completed…” Thus a separate endorsement would need to be obtained for “completed operations” if contract requires such. Some carriers offer “Blanket Additional Insured” coverage eliminating the need to specifically list each requiring individual/organization but these forms must be reviewed carefully as often do not extend the same protection as the above referenced. Even though coverage for the additional insured may be more limited than that available to the named insured, it cannot take away the fact that for specific situations the additional insured is an insured under the policy. In these cases, your liability limit available will be shared with the additional insured. Often additional insureds will require Primary and Non-Contributory wording status. By doing so, your insurance policy will pay the full amount of a claim until your limits are exhausted without the additional insured’s policy contributing to the loss. If your insurance policy does not automatically include this language, it may be provided via an endorsement for an additional premium. Agreeing to a “Waiver of Subrogation” for an additional insured removes both your right and the carrier’s right to seek reimbursement from the additional insured should a claim be paid under your insurance policy caused by the actions of the additional insured. This is usually done via a “waiver of subrogation” endorsement specifically naming the additional insured thus prohibiting the insurer from seeking restitution from them. Depending on the nature of your business and the carrier’s available forms, this may also be provided on a “blanket basis” for those additional insured requiring such status in a written contract. Notice of cancellation is a POLICY right, not a voluntary service. The carrier’s policy—- which must minimally comply with state law—- determines who gets notice of cancellation, for what reason(s), and with how much advance notice. With liability policies, typically only the first named insured is legally required to receive notification. Rarely is a certificate holder entitled to notice of cancellation by a policy form, even if the certificate holder is an additional insured. Most carriers do not have an approved policy form or means to amend notification to an additional insured requiring special terms. In reality, a notice of cancellation outside of the standard policy forms cannot be done. Only authorized representatives of the insurance carrier can release a certificate and only including coverage provided by the actual policy(ies). It is illegal for any individual to further modify the certificate after released by the representative. There has recently been a change in the insurance certificate form used by the industry. The prior form is obsolete and replaced by the September 2009 edition. The main noticeable difference is the Cancellation box. Previously this included wording “should any of the above described policies be canceled before the expiration date thereof, the issuing insurer will endeavor to mail ___ days written notice to the certificate holder named to the left but failure to do so shall impose no obligation or liability of any kind upon the insurer, its agents, or representatives.” For years, agents often inserted “30” days for the notice on these certificates but if the policy was not amended/endorsed to provide such notice, none would have been provided to the holder. Now the certificate simply states “should any of the above described policies be canceled before the expiration date thereof, notice will be delivered in accordance with the policy provisions.” Thus, unless the policy is amended to specifically provide notification to the holder, they will not receive notification and the agent is prohibited to reflect anything other on the certificate. You may not always be able to fulfill the request for Certificates of Insurance that you receive as some may be uninsurable, illegal, inappropriate, or impractical. The good news is that “certificate” requestors are slowly recognizing the realities of the insurance marketplace and discontinuing some requirements with which insurance programs cannot comply. For those that have not, it is in your best interest to negotiate removing them from your contract as you may still be legally obligated to them even if the insurance carrier is not. Prior to accepting a contract, contact our agency so that we can determine if your current insurance program can comply with its terms. As we previously addressed, there may be contract terms with which your insurance policy cannot comply. 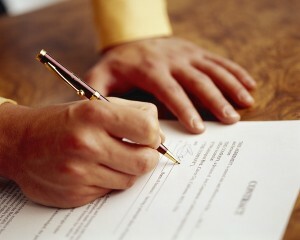 Therefore, it is vital that contracts are analyzed prior to signing. Toole Insurance can play a key role on your advisory team by educating and guiding you through the contract review process.